Spring is playing “Now you see me, now you don’t” here in Northern Indiana and I hope next time we see it it’ll stay, because I’m ready. Eating salads when it’s cold out is not my THANG which, by the way, shows around my waist. Come spring and all I crave are delicious salads. I remember the first time salad was served before dinner in a restaurant. That was quite a revolutionary movement (and yes, I’m that old). Salads used to be a side dish meant to accompany the main course, not an appetizer or an entree. I still prefer leafy greens with oil and lemon juice or vinegar as my choice of salad in spring, but I welcome more substantial salads for a main dish. My top five favorite spring salads are easy to make and delicious. What more can you ask for (other than for spring to be in full bloom)? 1 Sweet Potato Spring Salad is just perfect on a spring-ish day. You’re still holding on to comfort food with sweet potatoes but fresh mixed greens and strawberries keep it fresh. 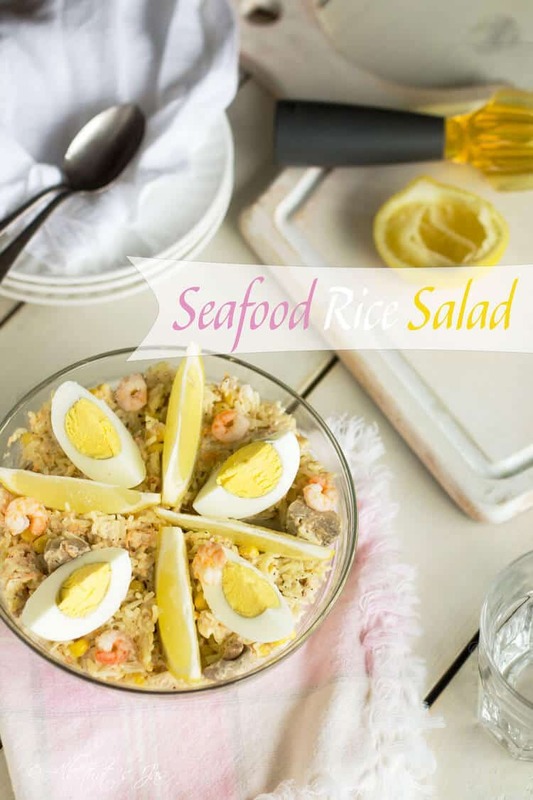 2 Lemon juice makes Seafood Rice Salad super refreshing. It is great for cookouts and potlucks. We have it pretty much every time we BBQ. I don’t even like shrimp, but love this salad. 3 I have a sentimental attachment to this recipe. Mom made Boston Lettuce with Beef and Eggs salad every time she made beef soup. It’s a family favorite! 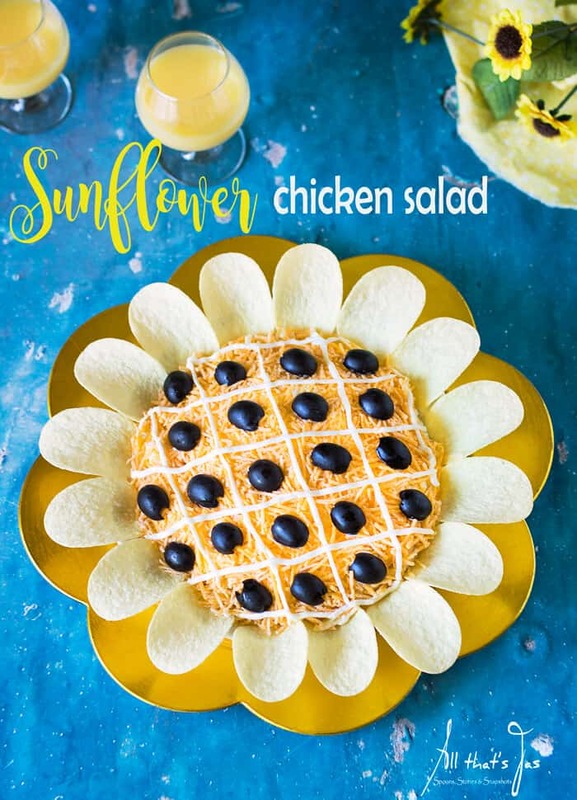 4 My granddaughters loved the look of this Sunflower Chicken Salad when I served it for their Secret Garden birthday party. You can use any chicken or tuna salad to achieve this look, but I kept my recipe basic and it was a hit! 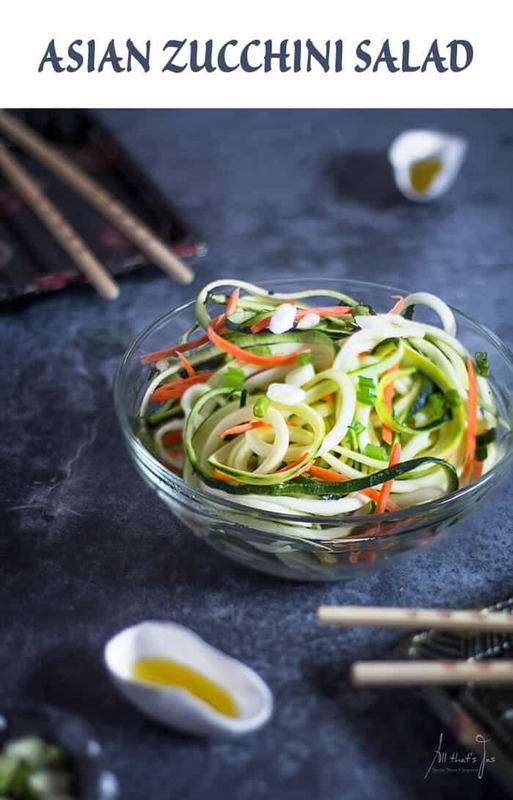 I just recently made this Quick and Easy Asian Zucchini Salad. I got a new kitchen gadget and had to try it out. This zoodle salad is tasty, healthy, and fun. It’s like eating noodles without the carbs! How do you celebrate spring? Do you have favorite spring salads? I’d love to try your recipe. Would you mind sharing it with me? Let me know in the comments! See this post featured at My Soulful Home. I love salads in the spring too Jas. I just dived into a bowl yesterday and was happy to eat lettuce and nothing else. But I added a honey mustard dressing which had me wanting more. They’re so refreshing, Mary! Honey mustard dressing is my favorite! By the way, is that a dress or a blouse you’re wearing in your last post? It’s darling! These salads not only sound delicious but are so pretty! Pinning this for salad eating season. Oh man those all look fantastic! So true about Spring. Can’t make up it’s mind just like not being able to make up my mind with these delicious looking salads! I love any salad with beef on it so this one is calling to me 😉 Thank you for sharing with us at Funtastic Friday! I just pinned your delicious spring salad collection! Hope you are having a great weekend and thanks so much for sharing with us at Full Plate Thursday! So many yummy salad to pick from. These all look delicious. Thanks so much for sharing with us at #OvertheMoon Link Party. I’ve pinned and shared. Those look great. I love salads with lots of stuff in them 🙂 Thanks for sharing with us at Funtastic Friday! I appreciate it, Debra! They’re more fun with lots of stuff in them 🙂 Thanks for visiting!